A muggy night in Abu Dhabi in 2011. Under the stadium lights a 30,000-strong sea of Libyans, Palestinians, Syrians, and Egyptians wait in anticipation. Alongside them are Saudis, Iranians, and Israelis. Defiance and excitement course through the crowd like electricity. Standing together, they are waiting for Metallica’s first-ever show in the Middle East. Many of the people in the audience have faced untold violence in their lives, but for tonight, all that is put aside, and nothing else matters. Journalist and lifelong heavy metal fan Orlando Crowcroft spent six years penetrating the rock and metal scene in the Middle East, reporting on it and interviewing bands for Rolling Stone, Esquire, and the Atlantic. 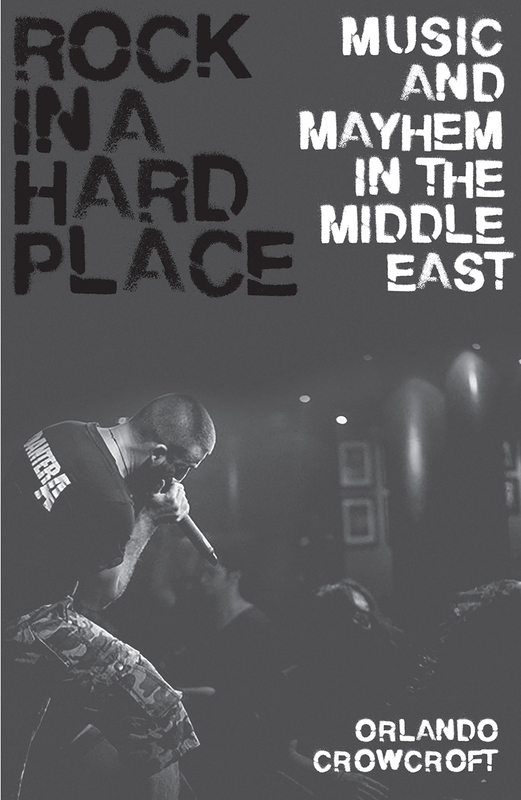 In Rock in a Hard Place, we meet young men and women making music in the back rooms of shabby houses in al-Zarqa and al-Qatif, Nazareth and Cairo. Alongside Crowcroft, we rock out at illegal shows in Tehran and Riyadh, and we listen to the songs that helped oust a dictator in Cairo. Rock in a Hard Place pays tribute to these courageous and determined musicians, who are willing to risk everything—even their lives—for music. With this book, Crowcroft offers a different voice, one that is at odds with the view of the Middle East mired in violence, extremism, and war. It is a voice recognizable to anyone who has ever turned up a speaker or an amp to drown out the din of the everyday, and a voice that may help unite us when we need it most.